Many enterprises in paper and paperboard industry use specialized equipment for paper rewinding. Such equipment is used for prompt automated processing of paper products which are supplied from the previous manufacturing cell. It is also used for the rewinding of foil, cardboard, paper of various density levels, adhesive tapes and films (depending on the enterprise’s specific characteristics and products it produces). Paper winding machines form long rolls which main characteristics (diameter and width) fully depend on the machine’s settings. In certain cases, along with basic operations winding machine can carry out the following operations: perforation on finished paper rolls to form breaks, longitudinal cutting on the web, diameter control of the products and the number of sheets in each long roll. 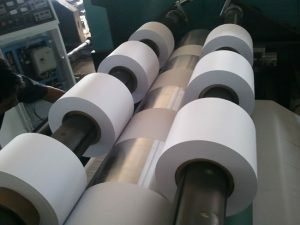 Such machines allow us to ensure continuity of the paper products production process. drawing, watercolor, pastel and drafting paper. In most cases, when there is a need for rolled products production, the corresponding unwinding machine is used. Modern modifications of the equipment, used by the paper and paperboard combines, are able to work with both pure cellulose and recycled products (waste paper). There are several programs of the equipment functioning. Some film rewinding machines are adapted to work only in automatic mode, others – in semi-automatic. A number of modifications are specially made for combining two types of raw materials processing: users can choose more current modes of operation for specific products. Such systems are relevant because they are able to meet the needs of both large manufacturing enterprises which produce large quantities of products and small companies that are more end-users oriented. When planning to buy a paper winding machine, it is important to decide first what characteristics, design and performance parameters are needed. Equipment for paper rewinding is narrow-focused CNC machines, mostly designed to perform horizontal winding. They have metal frame with a motor, rear and front winding elements – the first with a locking mechanism, the other with a winding roll. Often such machines are equipped with a winding density adjustment device consisting of tension rollers and driven pulleys. The most advanced modifications of winding machines are able to work with paper of various sizes and density levels: from 15 to 45 grams per meter. The operator has the ability to independently adjust the settings of the installation: from the density level of layers to the specific characteristics of the perforation. Usually paper is wound on the base – the bushing, however this option is not necessary and most mechanisms can form a single roll of paper by winding the material without using it. 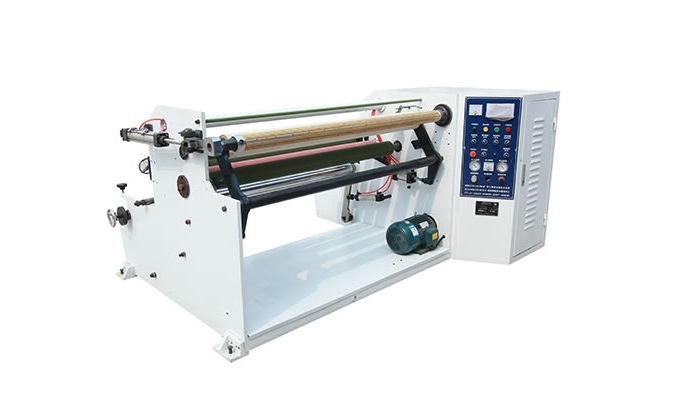 Nowadays, you can buy a rewinding machine which belongs to one of three large classes of equipment: shaft machines, shaftless mechanisms, wedge construction. This classification is based on the type of the roll fastening used in a particular installation. modules with or without the bushing sleeve. All the constructions wind and rewind paper from big rolls into small ones. Rewinding paper machine can additionally be equipped with edge and tension control mechanisms, setting/removing roll device, module for controlling the material length. The price of winding machine depends entirely on its size and functionality. The more features the machine have, the higher it costs. The equipment for rewinding rolls made of specific materials, such as stretch film, tape, fiberglass, foil and other ultra-thin or on the contrary thick materials stands out. Such devices have their own design features. For example, the foil winding machine demonstrates a super-sensitive tension control system, applies shaft classes that differ from those used when working with paper. Companies and organizations seeking to buy a rewinding machine very often turn to our company to help them select high-quality equipment made by European manufacturers. built-in quality control systems for monitoring, for example, of the alignment of the edge, speed, density, shear of the web when maintenancing. We sell only those machines that are considered to be the most suitable for the consumer.